Coming home to an invitation to spend a weekend at City Garden Hotel Makati is a welcome treat that I cannot just pass. After weeks of traveling and being on the road, this was something I needed. I wanted another vacation, a weekend to relax and do nothing. And the most ideal way to do that is have a staycation. 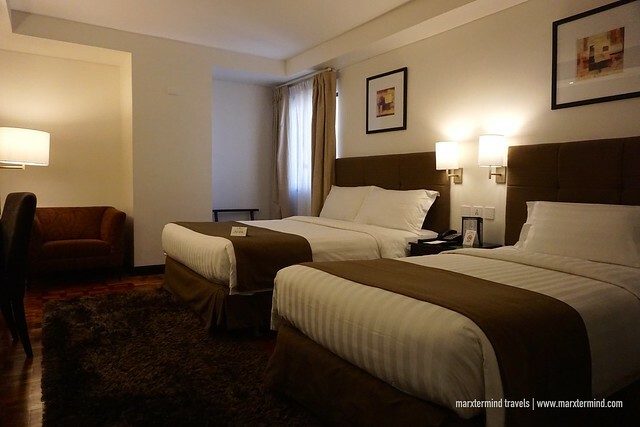 City Garden Hotel Makati, a hotel near Makati’s business district has the perfect cozy environment to have one. 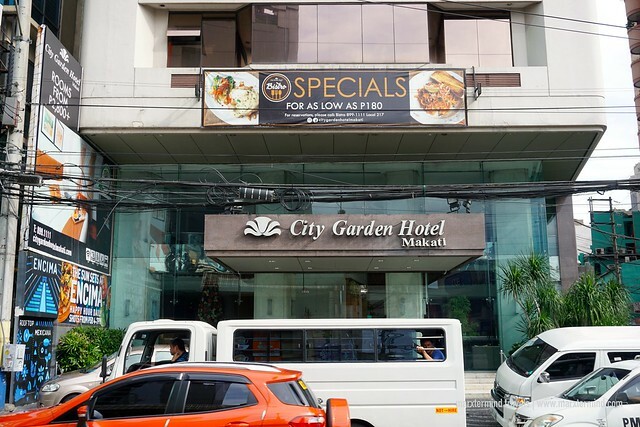 City Garden Hotel Makati is a quality hotel featuring smart accommodations designed for both business and leisure travelers. It has an array of remarkable amenities and services providing guests variety of comforts and conveniences. It was in the third weekend of November when I got invited to stay at City Garden Hotel Makati. I was glad that my brothers were also available that time so I tagged them along. My brothers and I arrived at the hotel past lunchtime. It was just an Uber ride away from home so it wasn’t hard for us to reach the place. Upon arrival, I immediately went to the front desk and presented my ID to verify my reservation. After filling up some details, the staff handed me our key cards. Checking in was fast and efficient, I must say. 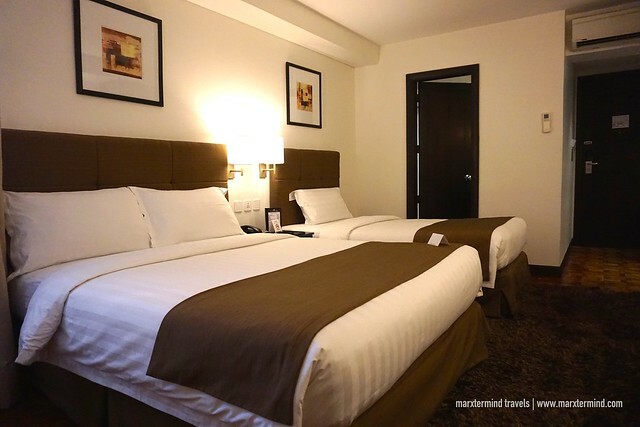 City Garden Hotel Makati has different accommodation types that guests can choose. Rooms are categorized into 5 such as Superior, Executive, Deluxe, Executive Superior and Executive Deluxe Room. Each room is air-conditioned and well-appointed. You may check room rate and availability here. Our room was an Executive Superior. It has a Queen and a Twin Bed that can fit up to maximum of 4 persons. The room has a warm and refreshed ambiance matched with excellent amenities. It is equipped with cable TV, in-room safe box, minibar and coffee and tea making facilities. The room also has a seating area. The private bathroom looks a bit dated though but it was clean. Towels, bathrobes, toiletries and slippers are provided. 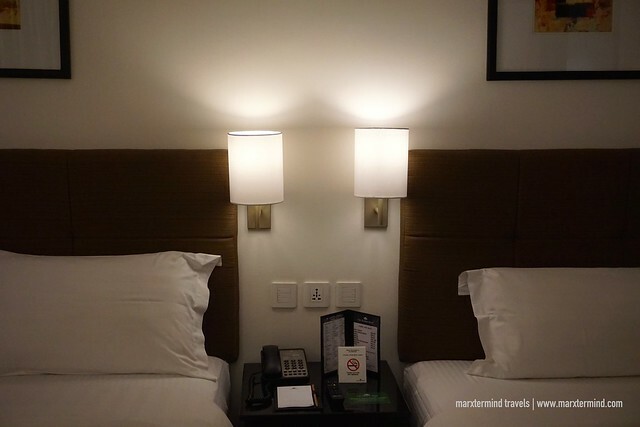 I generally liked our room at City Garden Hotel Makati. It was an ideal base for me to have my much-needed staycation after coming home from several trips. The room was comfy. It has all the conveniences I looked-for to have a wonderful weekend with my brothers. Throughout our entire stay, if we weren’t inside our room, we were at the roof deck enjoying the city view, the pool and the restaurant. 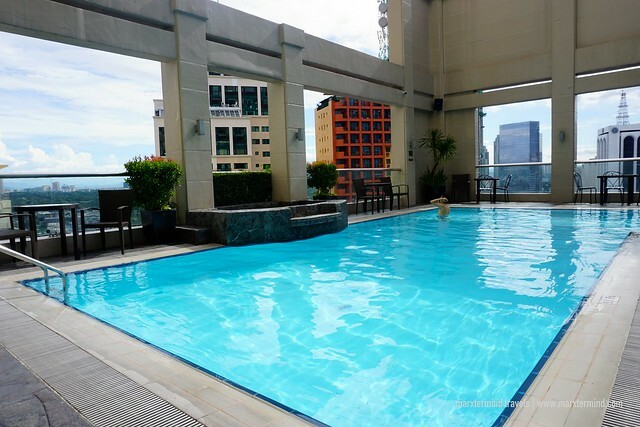 The facilities and services are things to also enjoy while at City Garden Hotel Makati. The hotel offers an array of great facilities for guests to have a more pleasant stay experience. It has a roof deck pool, restaurants, fitness center and sauna. There’s also conference center on site. Guests staying can also enjoy complimentary Wi-Fi connection. Valet parking is also provided for free. Room service is also available. 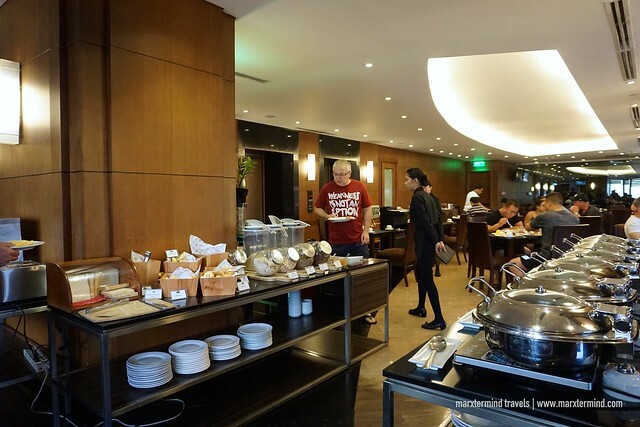 Our stay at City Garden Hotel Makati is included with complimentary breakfast for two at Bistro. This restaurant is located in the second floor of the hotel. Breakfast comes in buffet style. My brother and I were able to enjoy the buffet spread. It has nice choices with some Filipino and Asian favorites such as Thai pork with Golden Mountain Sauce, Grilled Chicken with Basil, Eggplant Casserole, Baked Garlic String Beans and Pad Thai. We also had bacon, pancakes, pastries, breads, cereals, and some local desserts. There’s also a station for eggs and omelettes. Make your own fried rice is also available during breakfast. Amazing! 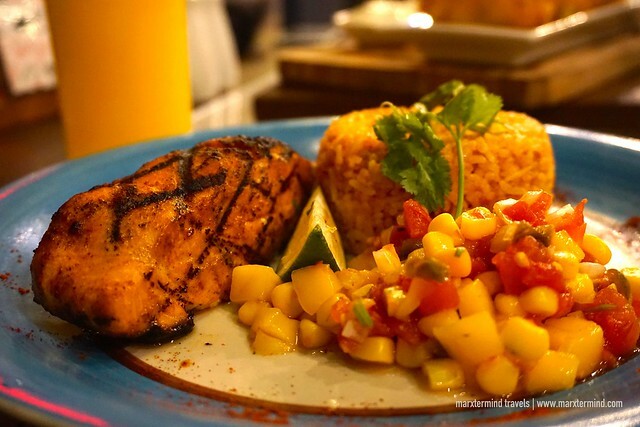 Encima Roofdeck Restaurant is another dining place of City Garden Hotel Makati where guests can have delicious Tex-Mex cuisine. This is my favorite. I love Mexican food so I was really excited when my brother and I tried it during dinner. 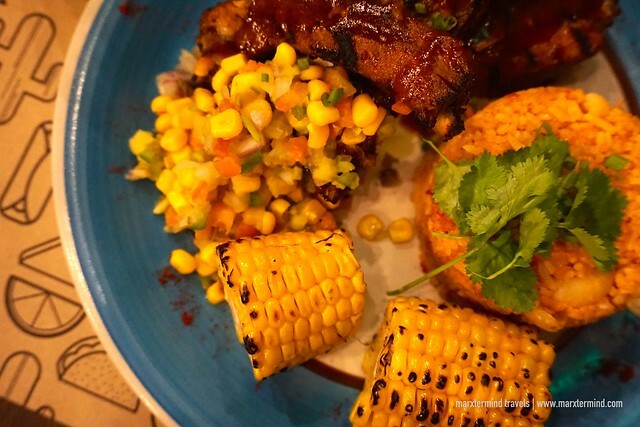 We sampled some of its dishes such as Jalapeños Croquetas, Salmon Mexican and Chilli Pork Ribs. Serving was generous in size. I love the appetizer. 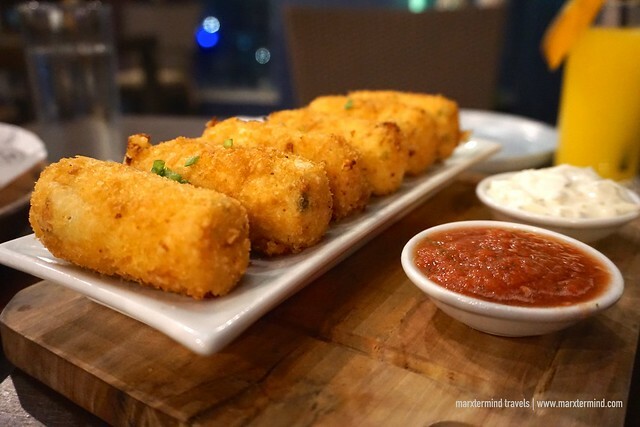 Aside from the food, Encima Roofdeck Restaurant also treats it diners with a lovely view of the city. 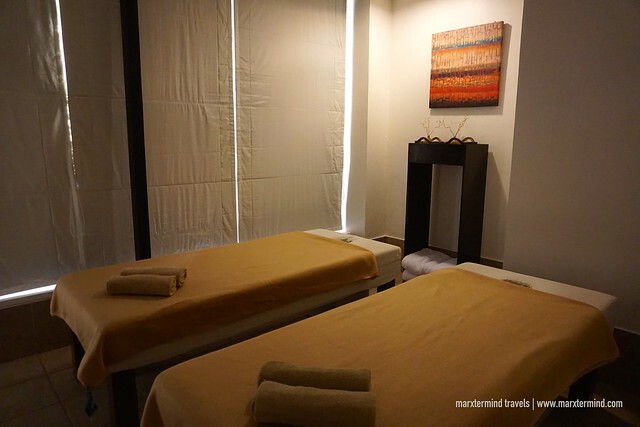 Part of our itinerary at City Garden Hotel Makati was also to experience La Famosa Wellness Spa. It’s the resident spa center of the hotel where guests can enjoy a relaxing massage. During our stay, my brother and I availed of Swedish Classic from their list of spa treatments. It’s a full body massage, where we got pampered for an hour. 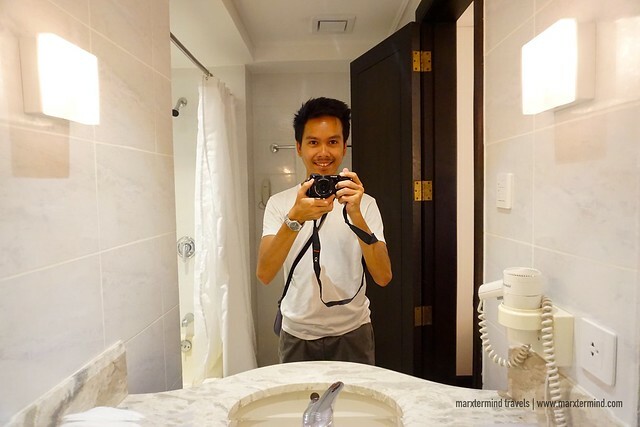 Spending a weekend at City Garden Hotel Makati was an amazing experience that I was glad that I shared with my family. The hotel let us experienced a remarkable vacation in the city. We had a wonderful time enjoying our cozy room as well as the hotel amenities. With comfortable room, amazing facilities and impeccable service, it’s definitely a perfect city hotel to have a much-needed staycation. 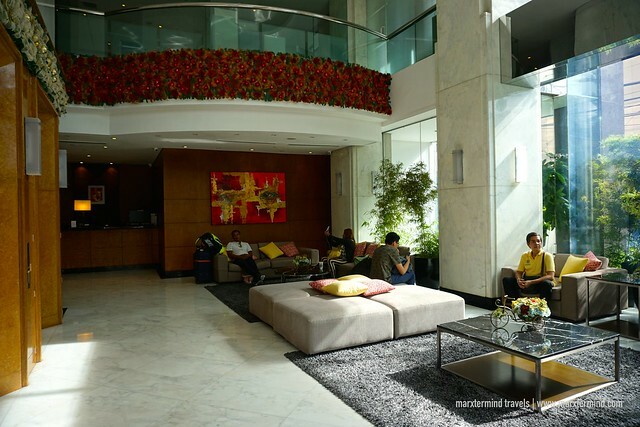 City Garden Hotel Makati is an ideal place to stay for business and leisure travelers alike. 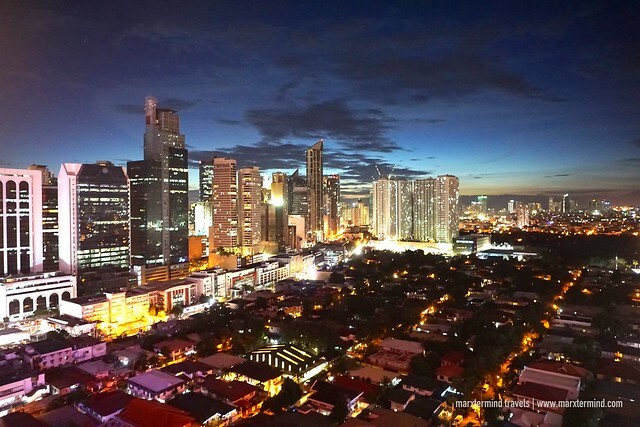 It is strategically located near Makati’s Central Business District. The hotel is also walking distance to incredible dining and nightlife spots. It has 160 rooms refreshed with a new look and modern refinements. 7870 Makati Avenue corner Durban St.
How to Apply for Korean Tourist Visa in the Philippines?